Since the inception of the Colorado State Patrol in 1935, 27 men and women have paid the ultimate sacrifice by giving their lives for the State of Colorado. On April 21, 2016, Governor John Hickenlooper signed House Bill 16-1060, concerning Roadside Memorials for Fallen State Patrol Officers. 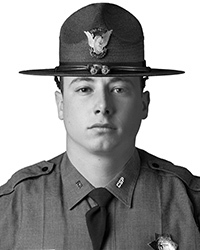 This bill permanently entrusts that fallen Colorado State Troopers who have given their lives in the line of duty will be honored with a simple sign to remind motorists of the life lost. Beginning in August 2017, the Colorado State Patrol has been honoring fallen troopers by reaching out to their families to arrange a tribute to unveil the sign with their family member’s name. The following members have already been honored as their signs were unveiled. The remaining members will have their signs unveiled in future months. A special thanks to Governor Hickenlooper and the many members of House of Representatives and Senate that passed this bill to forever memorialize the memories of these great men and women. A further thanks to the Colorado State Patrol Women’s Resource Network and the Colorado State Patrol Family Foundation for leading the charge to begin the conversation about making this thought a reality. The Colorado Department of Transportation has been instrumental in turning the signed bill into the physical roadside memorial signs. 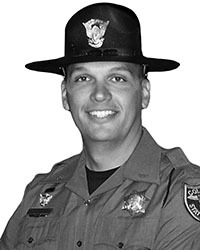 Patrolman Bechtelheimer (Beck) was the first Colorado State Patrol Officer to be slain in the line of duty. While patrolling Highway 85-87 north of Colorado Springs, he encountered a green Buick traveling southbound at a high speed. Before Beck could approach the vehicle, the passenger exited the car and came around the back of the car behind Beck. Beck spun around and struck him with his flashlight. The passenger shot Beck in the chest and in the left arm. 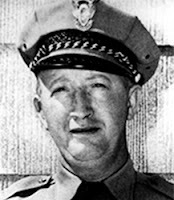 Beck returned to his patrol car to call for help, before dying of his injuries. The driver and passenger were apprehended later that evening north of Colorado Springs and were sentenced to life in prison. Bechtelheimer entered the Patrol December 1, 1944. Sergeant Purdy had finished his shift when dispatchers informed him of severe weather problems in the Big Thompson Canyon, west of Loveland. As Purdy proceeded into the canyon, he ordered evacuation in the lower areas below the canyon, a decision that saved hundreds of lives. Purdy encountered the torrent coming from the Devil’s Gulch tributary of the Big Thompson River and was attempting to turn himself and others away from it. Purdy’s last words to dispatch were at 9:15 p.m. Purdy was found on a sandbar eight miles below the point where he was last seen. Purdy’s patrol car was found two miles east of Drake at the bottom of a pile of eight cars. The only identifiable object was the metal key ring still in the ignition. Purdy entered the Patrol May 22, 1950. Trooper Fry was on routine patrol of Interstate 25 when he contacted a northbound vehicle south of the Douglas County line. He was issuing a traffic citation when a drunken driver struck Fry as he stood by the vehicle. The drunk driver failed to stop and was later apprehended by another Trooper. The suspect was convicted of vehicular homicide. 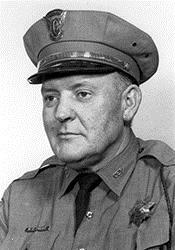 Fry entered the Patrol May 3, 1976. Trooper Jaimie Jursevics stopped her patrol vehicle on the inside shoulder of I-25 south of Castle Rock in an effort to protect the scene of a previous crash being investigated by a fellow Trooper. At approximately 2045 hours, Trooper Jursevics was notified of a possible drunk driver headed southbound on I-25. Trooper Jursevics made contact with the reporting party and learned the suspect vehicle was approaching her location. Trooper Jursevics immediately began attempts to flag down the suspect vehicle from outside her patrol car. 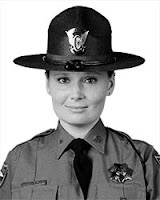 Moments later, the reported drunk driver collided with Trooper Jursevics, killing her instantly. The suspect vehicle fled the scene but was apprehended by the Palmer Lake Police Department. The suspect was taken into custody and charged with vehicular homicide, leaving the scene of a fatal crash, driving under the influence and several other offenses. Jursevics entered the Patrol January 9, 2011. Trooper Cody Donahue was assisting with the investigation of a previous motor vehicle crash along northbound I-25 near Castle Rock in Douglas County, Colorado. 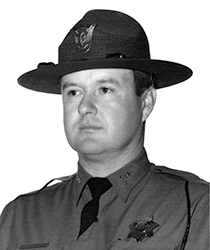 While he stood on the right shoulder of the interstate, a commercial motor vehicle struck Trooper Donahue, killing him instantly. Trooper Taylor Thyfault was riding along with Trooper Clinton Rushing as part of his ongoing training at the Colorado State Patrol Academy. During the early morning hours, Trooper Thyfault and Trooper Rushing responded to a three-car crash on Colorado Highway 66. Shortly after 8:00 a.m., another State Trooper attempted to stop a vehicle in the area of I-25 and Colorado Highway 66. The suspect eluded the trooper and drove towards the crash scene where Trooper Rushing was waiting to deploy stop sticks. The suspect hit Trooper Rushing and Trooper Thyfault while eluding the pursuing trooper. Seconds before he was struck, Trooper Thyfault instructed a tow truck driver to move and take cover to avoid being hit by the fleeing suspect. Trooper Thyfault succumbed to his injuries instantly at the scene. Thyfault entered the Patrol March 15, 2015.